When I saw this book was coming out in November of this year I started drooling. 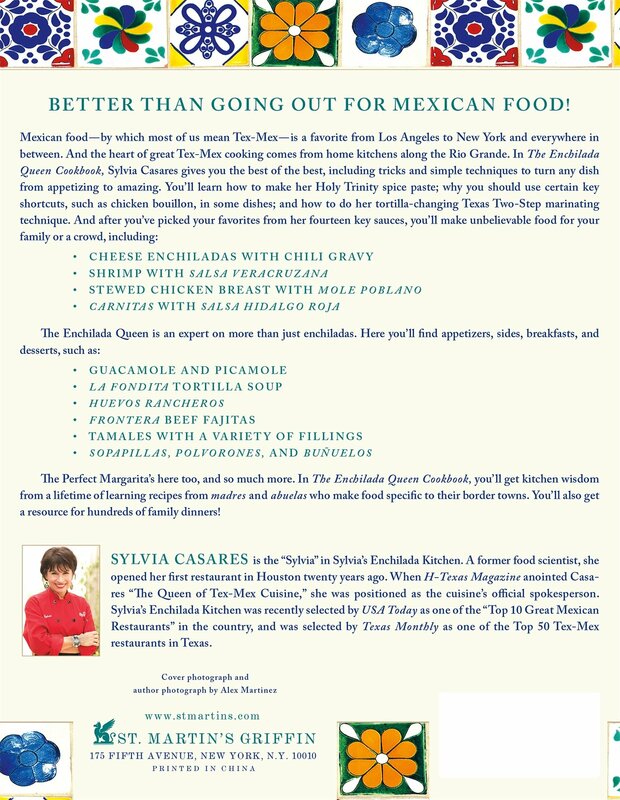 Sylvia is the Queen of Tex-Mex. She is also a wonderful teacher! 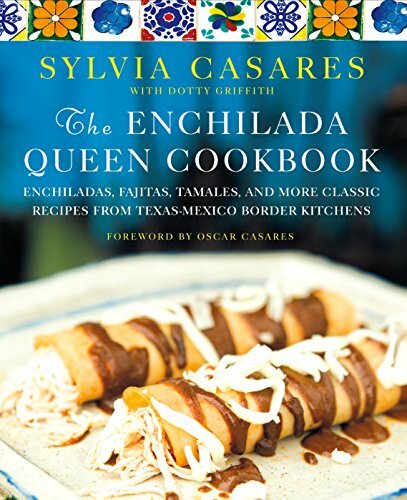 In the book she explains every recipe and every ingredient. 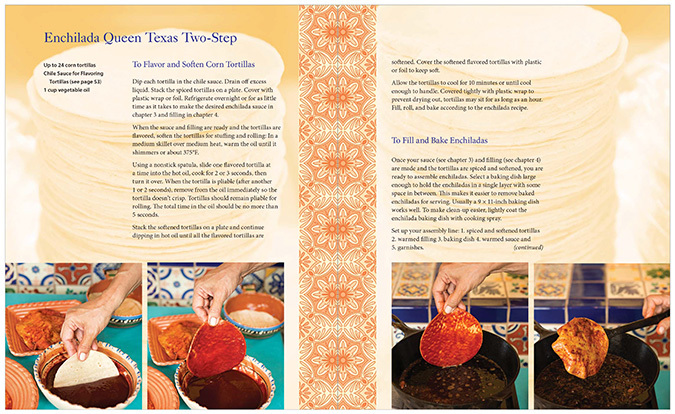 All of the recipes are easy for beginners and life long cooks. The photos were a wonderful resource. I knew just what she was doing and what the product should look like! This is one of those books that will never be loaned to anyone! She starts with the basics and it so easy to follow her instructions. It is also in most public libraries, so check it out and then go buy it! Yummy Goodness is what this is! A good book, warm socks, a fireplace and a mug of Chai…heavenly! I would eat this entire thing. Yes I would! Check out all of Anne’s good stuff and her lovely posts of North Carolina! Grease a 9×13 inch pan. Mix cooked chicken with sour cream, mushroom soup and optional mushrooms and put in greased pan. Top with mixture of stuffing mix, butter and chicken broth. Grab your cup of Gingerbread Tea and prepare to go Awww… I love looking at Gingerbread Houses. Now, mind you I’m not making one. 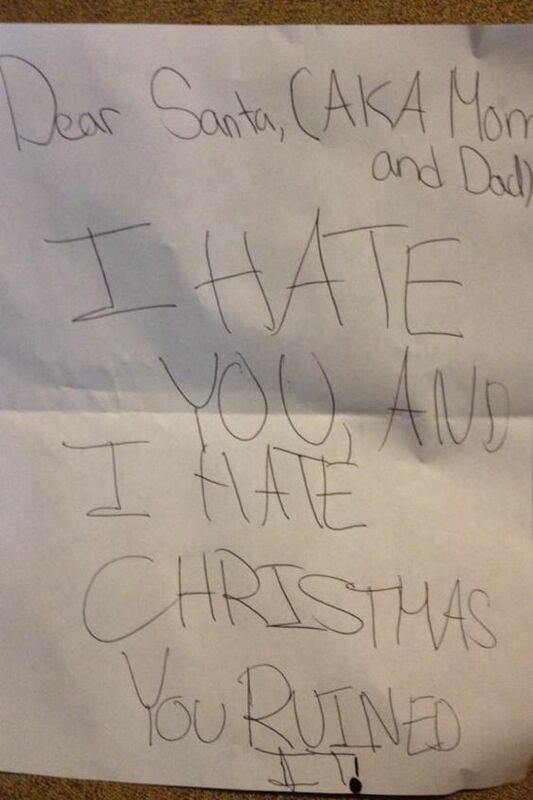 I don’t think Santa would like the words that start flying around the kitchen with that mess. Don’t even suggest it. I’m like a two year old whining, why???? Can’t we just buy one?? Here are some that I really enjoyed seeing however. I hope you enjoy them too! The ones on the left are so sweet! The one on the right is the Capital building. You all know I can not resist a pedestal with anything on it! But a tiny gingerbread house under glass and a gorgeous naked cake with a townhouse on the top? Seriously too much cuteness going on here! The first time I saw these little gems was when a friend from England sent them to me. Not only that, but she sourced and sent me the cookie cutouts for them! I mean really….there’s your sweet and your tea! And let me leave you with a couple of recipes for tea. These are my two favorites. I have so enjoyed the Blogmas Thingy, thank you to Lindsay over at homehugsandhuskies.wordpress.com for showing it to me! Merry Christmas to you all, and I’m off to vacation! May this holiday be everything you want it to be! 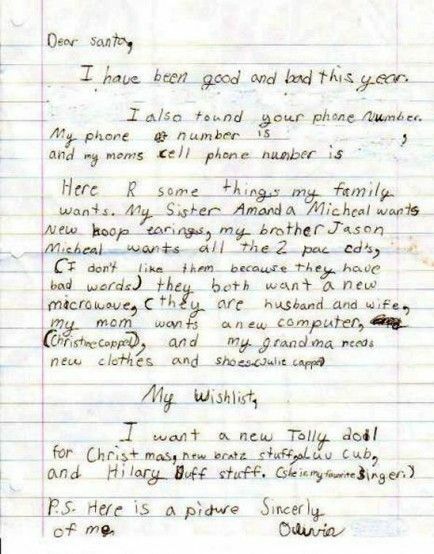 Dear Santa, I’ve Been Naughty and I’d Like Some Shoes That Match That…. Blogmas Day 21..Winter is taking a break today, so it’s back to shorts and flip flops. Plus I found a handful of different sized safety pins in my robe pocket this morning. So I’m not sure what went on last night, but it would appear I needed to make repairs at some point. 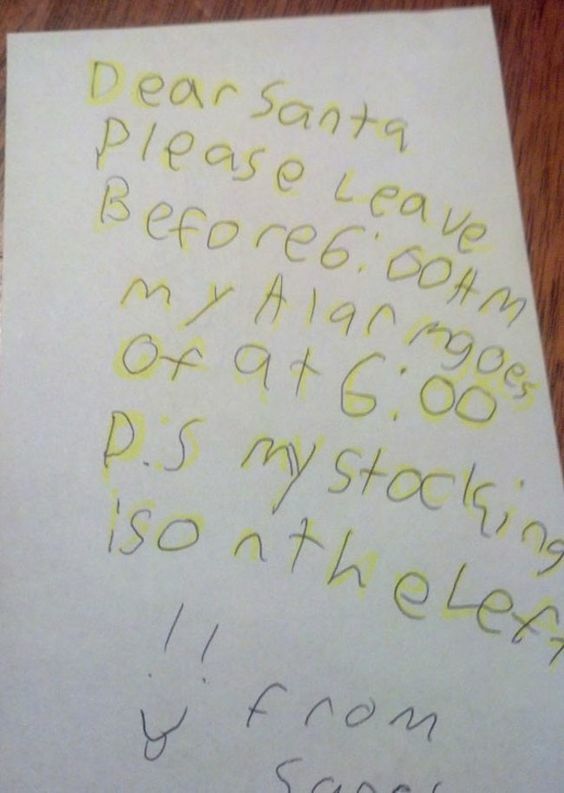 Letters to Santa have certainly changed since I was a child and today I’m going to share my stash of weird, funny and lovely letters to Santa! Enjoy! 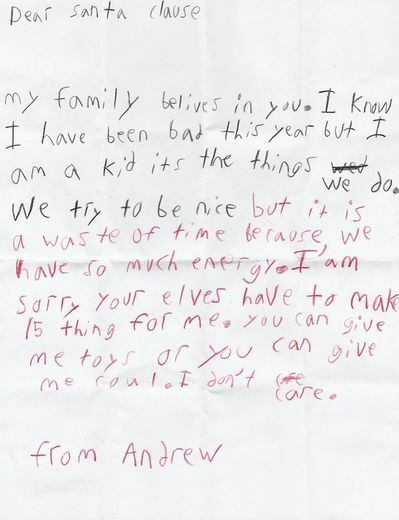 Well Andrew, it looks as if you may have a future in Law/Manipulation, while I admire you being upfront with the bad behavior, stop making excuses for it! 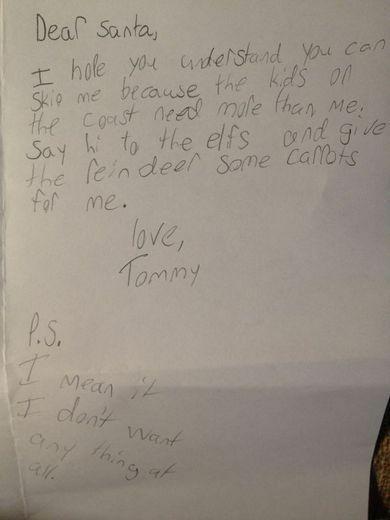 And Tommy, I’m calling BS because I know you and so does the big guy! Well Olivia thanks for all the phone numbers and all of your wishes for your family, but you really should not send old men your picture. As for you Elisha, Nice try Terry Maggert! 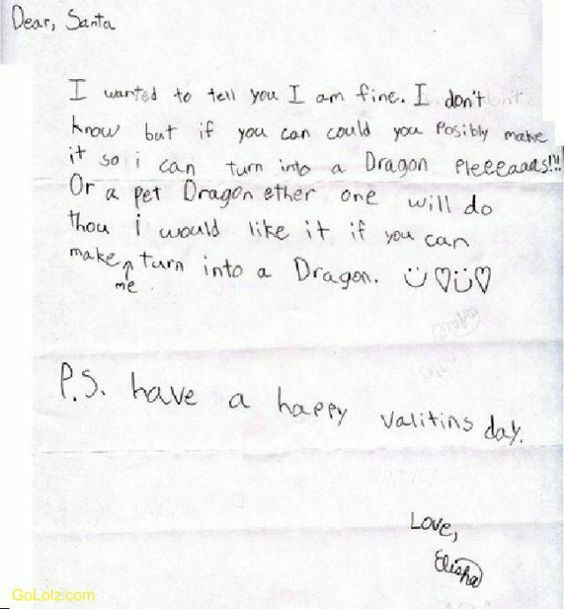 No dragons for you. Sarah, is organized and likes her men to be gone before her alarm goes off. I like you Sarah. 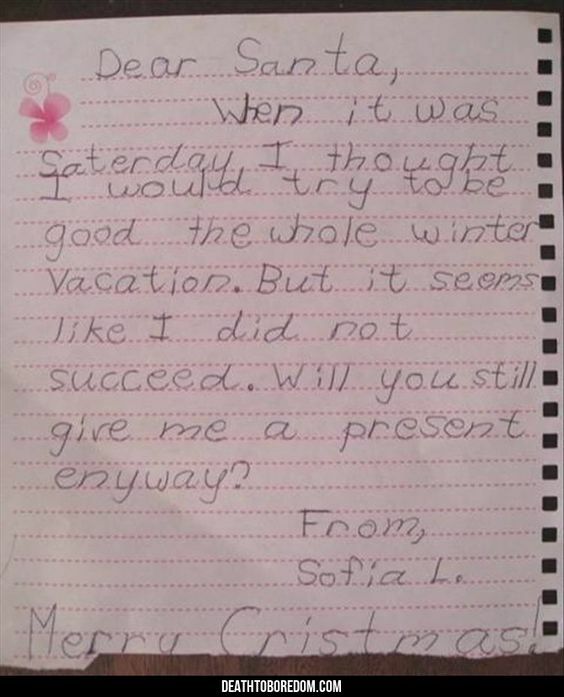 As for Sofia, of course I will bring you a present. Looks like you could probably use a dictionary…. Well we obviously have some trust issues on the left, so let’s just tiptoe out of that house! 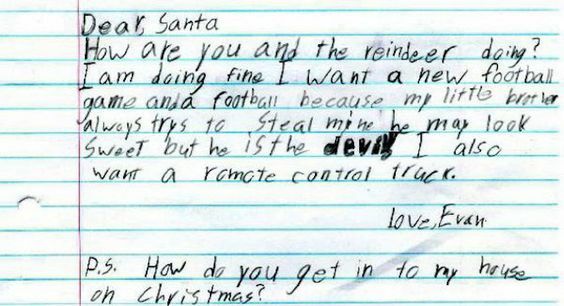 Ah Evan, a boy after my own little heart…..first the reindeer are fine, your brother is not the devil, just a minor demon, as to your question….Magic! 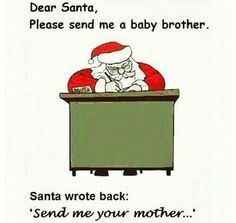 I see you Santa! Good comeback! I hope you laughed at these. Merry Christmas! Happy Solstice! Charlaine Harris is the author of the Aurora Teagarden Mysteries, which are on Hallmark TV as well! She is also the author of my favorite Sookie Stackhouse Urban Fantasy series, which HBO turned into True Blood. She also writes several other series books. All the Little Liars is one of the Aurora Teagarden Mystereies. This series is one of my guilty little pleasures! And looking at this book sitting on my TBR pile was getting harder and harder every day until fate intervened and I was able to read it ahead of schedule. In Aurora’s little Georgia town, everybody knows everybody and their Momma, and Aurora is enjoying her new husband, Robin Crusoe, true crime writer as well as keeping a secret that she and Robin have yet to share with the rest of the world. Aurora’s half-brother, Phillip, who is 15, is now living with Aurora and Robin, having had enough of his own parents and their bad behavior. Being new in town hasn’t stopped Phillip from making friends. Good kids whose parents Aurora has known a long time. Everything is going along more or less as planned until one day when Phillip doesn’t come home. Also gone are his two best friends and an 11 year old girl who was just catching a ride home with them. Is this a kidnapping? Aurora knows it’s not a runaway situation and she isn’t going to let a little old thing like pregnancy get in the way of finding her brother and bringing him safely home. As she asks herself how well does she really know the people she grew up with, the friends and families? Secrets just keep popping out of the proverbial bag and each one is worse than the last. A great mystery! Excellent takes on bullying, alternate lifestyles and hope, love and respect as well as the lengths a parent will go to protect their child. I have to say the editing of this book was very unlike her other books. There were some issues with the pregnancy and who was told when and a few other things that should have been easily caught! But that said it was good to see Aurora again!